Mosier has talked about her journey in many national articles including Huffington Post, and Doug has made appearances on late night shows, concerts and “Good Morning America.” In fact, for many Doug the Pug has become a household name, with more than 2.3 million likes on Facebook. 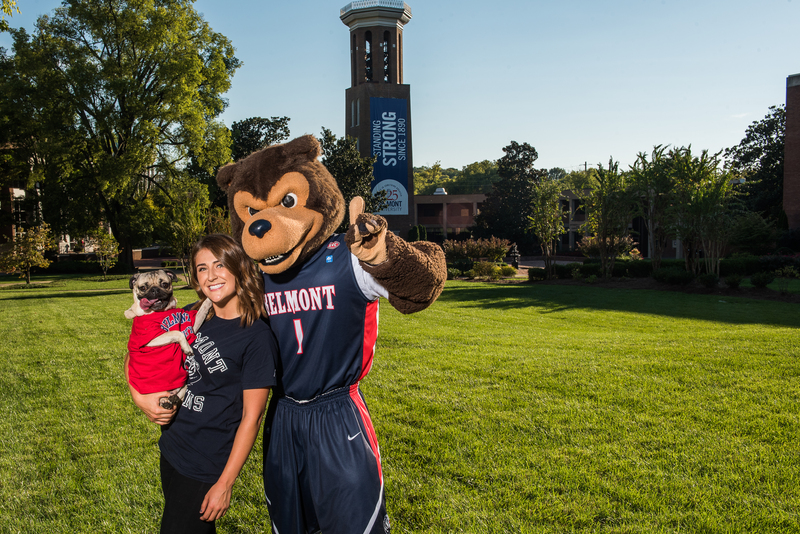 “Momager” Mosier said her first job, as well as her classes at Belmont, taught her a lot about about public relations, marketing and artist relations. Taking full advantage of her internships, Mosier said it’s very important to make a strong first impression. She began interning her junior year and treated it as a job, rather than a temporary internship, ultimately leading to a full-time position. Mosier also took Belmont’s Marketing in the Music Business class, where students create marketing plans and present them to record label heads. As the project’s group leader, Mosier was able to take the reigns, giving her the experience she needed to be prepared for the industry. She attributes her success with Doug to lessons learned while working and being a student. Mosier also has a big passion for graphic design. “I do a lot of design for bands such as Mat Kearney and PVRIS, and have designed a lot of the Doug merchandise as well. No matter how busy the Doug stuff gets, I want to continue my design work. I firmly believe that I can never be too busy to help out the artists that I’ve worked with for years,” she said. Stay up to date with Doug and ‘momager’ Leslie’s adventures on Doug the Pug’s Facebook and Instagram accounts.